The legend attached to the flute is one that is linked with its ability to connect the children. Consider the story of the Pied Piper of Hamelin, which is of Germanic folklore. 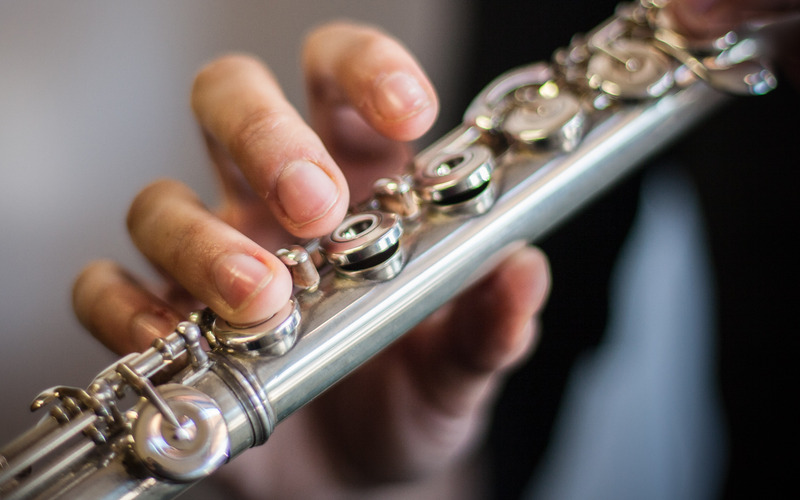 The story saw a highly talented flautist prize all the town’s children away from Hamelin, with the enchantment of his melodic flute due to an un-kept promise by the Town’s Mayor. 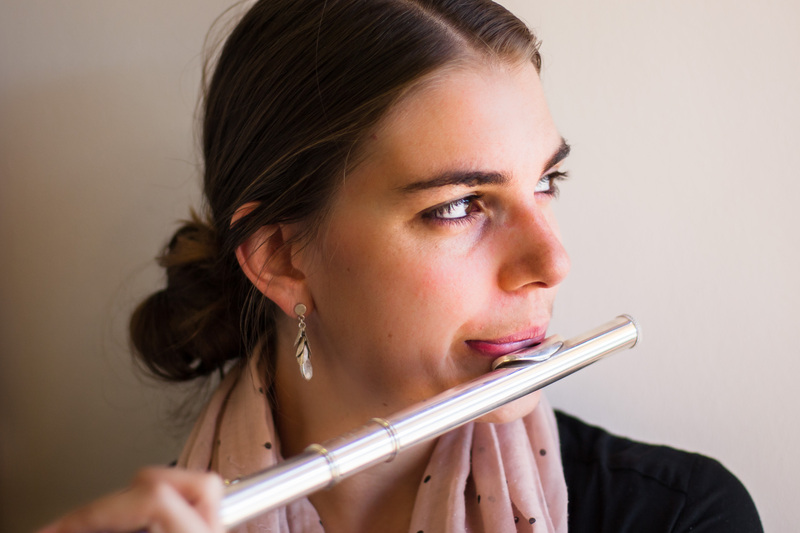 Switching over to real life stories, we have Tatiana Thaele, who is a talented flautist and of German descent; and shares a third commonality with the legend of the Pied Piper. Tatiana has made it her mission of luring the youth from inactivity, towards instrumentality and the symphony. The paradox of meshing convention (classical music) with internet trends and social media, presents a challenge in this environment. The expressive young lady from Cape Town spoke to us about her passion for music and education and the state of classical music, in great candour and verbosity. It is refreshing to see the enthusiasm displayed by a young lady who plies her trade in a less popular craft and genre, generally associated with the older generation. Lavatory Records: How would you describe Tatiana Thaele to the public? Tatiana Thaele: In three words: determined, passionate and creative. One of my greatest strengths and weaknesses is my idealism. I believe there is always a better way, a greater version of ourselves waiting to be embraced. I believe in humanity. I love solving problems, even the seemingly impossible ones, because there is almost always a crazy creative solution I have not even considered a possibility yet. I don’t give up easily and even when I lose my courage, my stubborn inability to give up often pulls me through. I have been referred to as an empath. I feel the emotions of others so strongly sometimes it overwhelms me, but I choose not to make this a weakness but rather to inspire me. I love change, transformation, growth and adapting. They are not comfortable but they are so worth it. Why is this important to me being a musician? It is because the musician’s and the artist’s job is to remind people of their humanity, their joys and grief; because all that I am is essential to what I do. I warned you, I’m an idealist. LR: How did you discover your passion for music? TT: I was very privileged to grow up in a musical family. My father was a musician who immigrated to South Africa in the 1980s to join the Cape Town Symphony Orchestra. I grew up surrounded by music and my parents gave everything they had to ensure that all their children could learn an instrument. I am so grateful for this but it has also inspired me to fight for other children to have this right. I believe all children should have access to an instrument. They don’t have to love it, they don’t have to want to do it but they should have the option. The reason I got specifically into the flute is a little more mysterious. Ever since I can remember I wanted to play the instrument. I have a theory though. We would spend many afternoons at my aunt’s after school. She had about 3 videos we could watch; one of those was “Beauty and the Beast”. I watched that movie over and over. I recently discovered that there is a surprising amount of flute in it. I suspect that when I heard and saw the instrument played live, I realised that was the instrument I wanted to play. So goes the legend. Of course it is very shiny and pretty too. Which little girl would not want that? LR: As a flautist where do you feel your ambitions in the music industry lie? TT: One of the things that I have grown to love about the industry is its diversity. I hope to be involved in as many facets of it as I can. This excites me. The important thing for me has been to not just see myself as a flautist or even a musician but rather as an entrepreneur and a creator. Nobody is going to give you anything in this industry. You could work for it in the classical world to an extent, get an orchestral job or a good teaching position, but at the end of the day, if you want a truly fulfilling career you will have to create it. This excites me more! An avenue that I have recently been exploring is social media and how the internet can be used to give more people access to classical music. I do not think this is being done enough. People are so sceptical of the internet. It has become this terrible monster that is destroying the music world. I think we are missing out here though. The world is changing so fast and there is just no point fighting it. Never before have we had to adapt at such a fast pace as now. There are so many new problems, so many new solutions and so much potential. This really excites me! LR: How easy or difficult is it for “instrumentalists” to make it in today’s musical economy? TT: I think this question haunts all of us for a good part of our studies. How on earth am I going to make money doing this? If you are lucky enough to get a job in a well-paying orchestra or a good teaching position you may be fine – never wealthy, but fine. But there are 2-3 positions for flute in an orchestra and about 5 orchestras in the country. UCT has about 15 flute players currently studying there. So the numbers just don’t add up. If you are incredibly good you may have a chance at an international solo career. I think I have answered part of this question in the previous question: you have to create opportunities for yourself, but it is traditionally not easy. If we are not willing to engage with our existing or new audiences then we just won’t have any. If we are not willing to help them understand classical music then we cannot even engage. We will always be stuck “begging” people to come to our concerts. We need to think outside the box a bit and surprisingly we will discover that we don’t all need to be international stars to make a living but we need to stop pretending that people will automatically appreciate our music just because we worked hard. On social media there have also been a few huge success stories, one of my personal favourites: 2 cellos. Seriously go check them out. It is very cool! LR: If you ever had the opportunity, which musicians would you like to work with? TT: Mozart, Bach, Brahms. Oh wait should they be living? Okay but warning my list is a bit strange. I would want to work with musicians that I could learn the most from and these are often but not always my favourites. Muse – incredible musicians these guys. Sixto Rodriguesz – what an incredibly interesting human being. Yuja Wang – she is a very famous pianist who really pushes the norms of what a classical pianist is or should be. Katy Perry and Lady Gaga – they know how to write great songs and really know how to sell their image. LR: Considering your background, do you feel classical music can appeal to the new generation? TT: I don’t only think it can but I think it must if it hopes to survive. This goes back to what I was saying about making music accessible to everybody. This is sometimes as simple as talking about the music you are about to play before you play a concert but it needs to go beyond this. That being said, I do not believe that everyone has to enjoy classical music, but they should at least have a chance to make that decision. The new generation is one that is growing up in a world where the constant is change. They are hungry for new ideas and new experiences. This is where classical music can really score. It is incredibly diverse. I have spent a large portion of my life listening to classical music and have only listened to a fraction of what is out there. Hundreds of years of musical tradition are now at our disposal, to create and recreate for audiences. Hundreds of years of human experiences, loves, losses and joys packed into a musical tradition, human experiences that are still so relevant to us today. The reason, I believe, that classical music is so often chosen to accompany narrative in movies is for exactly that reason. While many popular genres focus on a single idea or concept classical music is more about a journey, a process or even a story. We need to find new ideas to present this to young people. This is the power of classical music and I think more and more people (especially young) are re-discovering this. I was recently browsing YouTube and I saw a version of the Swan Lake ballet by Tchaikovsky with over 15 million views. There is so much potential here. LR: As a musician who works in the educational space, what do you feel needs to be done to grow the arts? TT: We need to make music education on all levels accessible. I think that the online platform is one of the most ideal ways to do this. With increased Wi-Fi hotspots and free internet becoming available many more people have access than ever before. The implications of this are very exciting. Imagine a world where every person was able to essentially educate themselves online? I do, however, believe that we should be doing a lot of contact work with people in our communities too. Go into schools and communities with presentations, shows or concerts and of course the value of outreach projects teaching underprivileged children musical instruments is immeasurable. It is not only the underprivileged communities that don’t have access though. Many wealthy households have never really come into meaningful contact with classical music or any of the arts for that matter, and at the end of the day it is going to be the wealthy that are able to fund projects. So we need to be inclusive in our effort. My very strong personal opinion is that; any person without art and culture (any culture!) is poor regardless of their bank account. LR: What can we expect from you in terms of future projects and/or events? TT: I am a part of a flute-guitar duo called Duo Bel Canto, and we’ve recently put on a production called “The Violin Girl”. This is a short story, written by the Cape Townian author Chantal Stewart, was narrated while a small ensemble played a variety of classical and more popular music that fitted to the content of the story being told. This allowed people to engage with some of the great pieces of classical music, connecting them with the emotions in the story. This was a bit of a pilot project but was very successful and will see more runs of it in February next year. We will be working on similar projects aimed at varying audiences. I am also going to starti a few online, mostly educational, projects. Some of them are more “flute” related while others are aimed at giving people access to classical music. I don’t want to say too much at this point as it is still all in its development but I think they are exciting so follow me on Facebook or Twitter if you want to keep updated. LR: What are your other interests, away from your profession? TT: I love most creative things: painting, writing and crafting, yip, quite a nerd. I also love the outdoors and nature though, hiking particularly. I LOVE eating. It is actually a bit of a tragic relationship that is doomed one way or another but I really love it. Eben Meyer, my partner in crime and guitarist and fellow creator of Duo Bel Canto. We appreciate the time taken by Tatiana Thaele to have this candid discussion with us, especially that she’s busy with her Masters among other things. 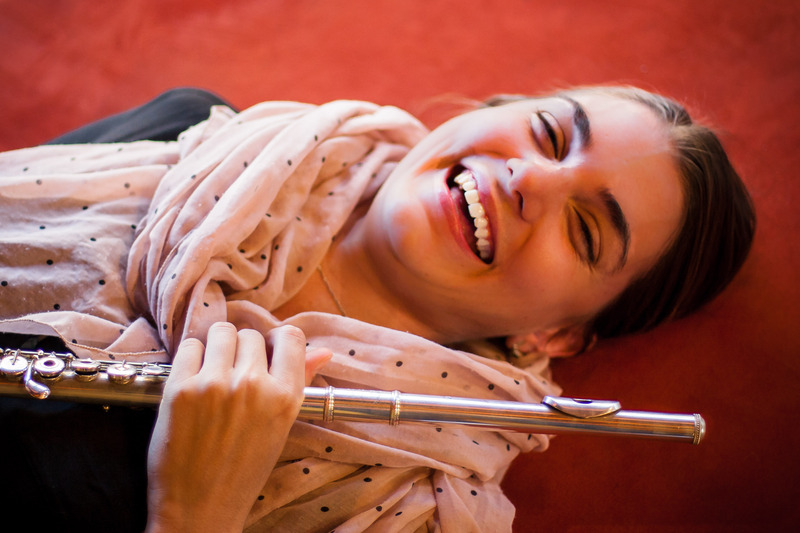 Connect with Tatiana on Facebook and on Twitter: @flutepractice. 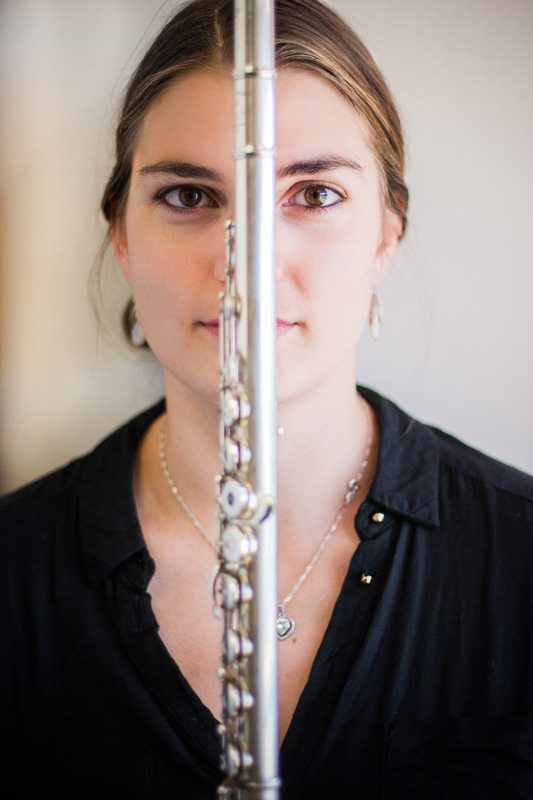 And be sure to check out her collaborative project with Eben Meyer called Duo Bel Canto on SoundCloud.